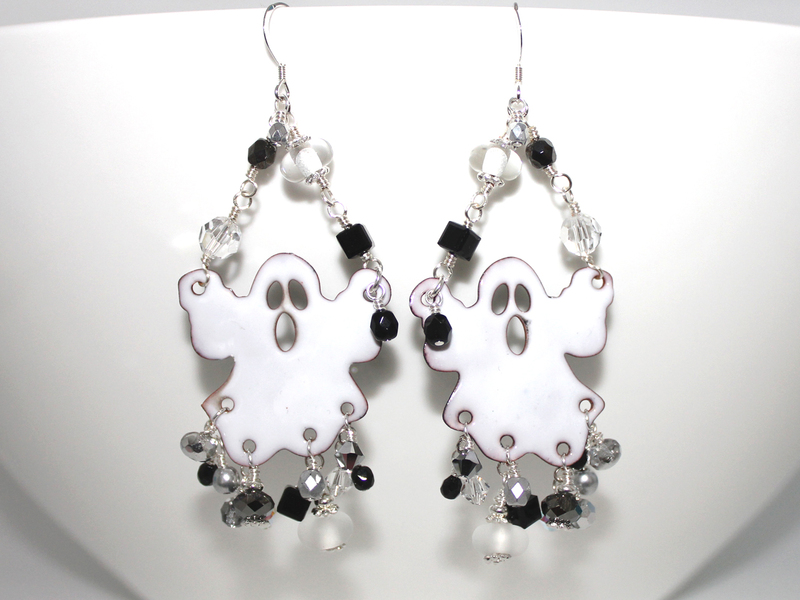 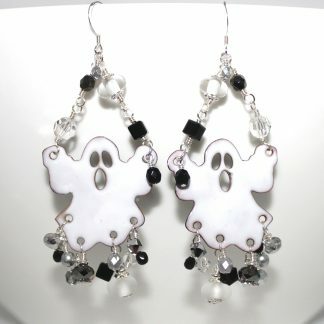 These super fun earrings feature white enamel ghosts with gorgeous clusters of Swarovski crystals, Czech glass beads, handmade glass beads and pearls dangling below making them super spooky special. 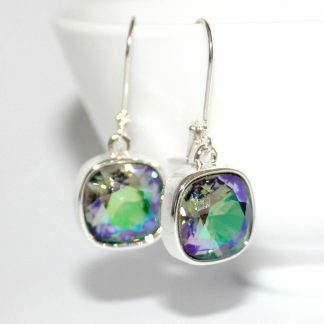 The back is plain black enamel. 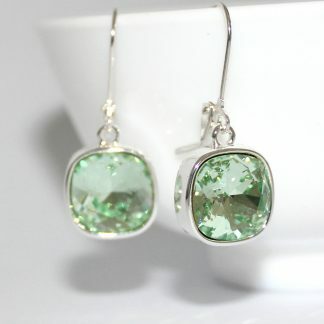 Hooks are sterling silver. 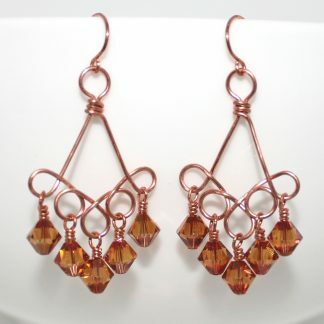 They are 78mm long, top of hook to bottom of longest dangle. 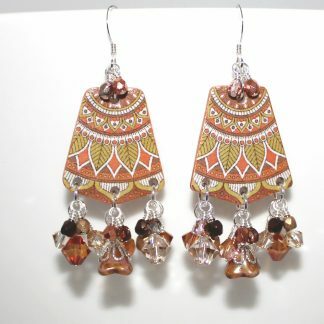 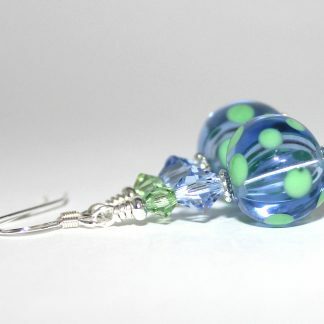 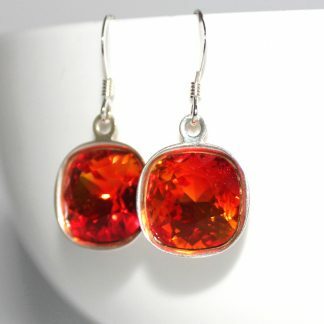 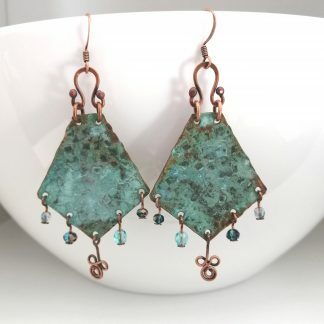 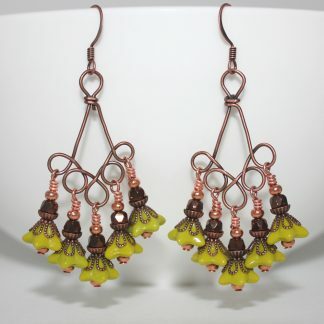 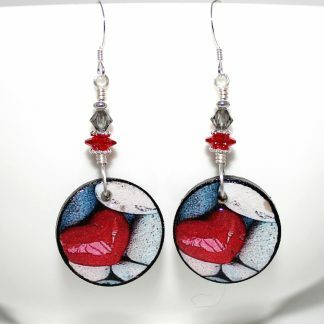 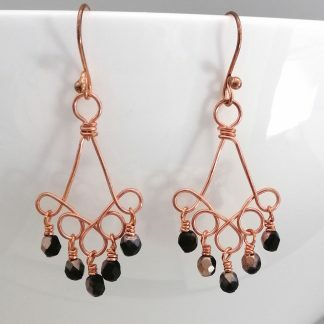 These earrings are very lightweight to wear.